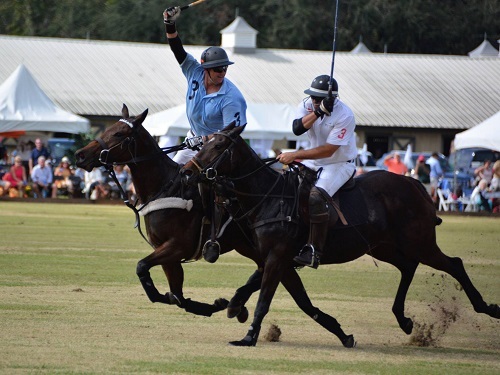 The 24th Annual Polo for Charity at Rose Hill Plantation is presented by the Rotary Club of Okatie. Let me start off by saying that I have never been to a polo match before going to this event. It may have been my first Polo Match, but it will most certainly not be my last! The day started out a little rainy, but that didn’t stop these amazingly talented players from getting onto the field with their beautiful horses. The 2017 Charity Polo Match benefitted the Foundation for Educational Excellence and other Rotary charities. The Foundation for Educational Excellence supports Beaufort County School District student instructional activities and projects through Innovative Teacher Grants, Innovative School Resource Grants, and Student Enrichment Grants. The event also featured a silent auction with many highly sought after “packages” including entertainment, vacations, and dining. Bid as early as possible and keep up with any packages that you really want because there are a lot of participants. I was able to bid on a few items, like a tennis package and a wine and picnic package. Proceeds from the silent auction benefit Moss Creek Marines and the Daufuskie Marsh Tacky Society. Moss Creek Marines (MCM) is a non-profit group of former Marines who now reside in Moss Creek Plantation who help raise funds to aid and honor the service of Marines who have been deployed in combat and have paid a devastating price for our freedom. 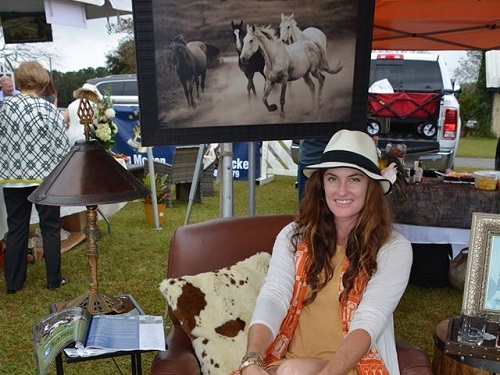 The Marsh Tacky Society’s mission is to promote and protect the endangered Marsh Tacky horses and their historical roots on Daufuskie Island through breeding, training, educational and special events programming. At noon, the gates of Rose Hill opened up for the 24th Annual Charity Polo Match. Groups of families and local business arrived with large trucks, cars, and even golf carts filled with all the essential tailgate necessities. Some groups had reserved spots around the left side of the field and others lined up along the right side. Tents began popping up and filling the space outside of the Polo field. These tailgate tents were like no other and had the most elaborate decorations. Some tailgate tents had chandeliers, some had barrels of hay and pumpkins, and some were even equipped with full-size couches. One of my favorite tailgate tents had a dining table with a delicious spread of southern foods and candlesticks. It was also decorated with rugs, paintings, a chandelier, and colorful drapes. There is a contest at the end of the match for a unique tailgate, and everyone was in it to win! Next year, I will definitely be bringing my A game to this competition! 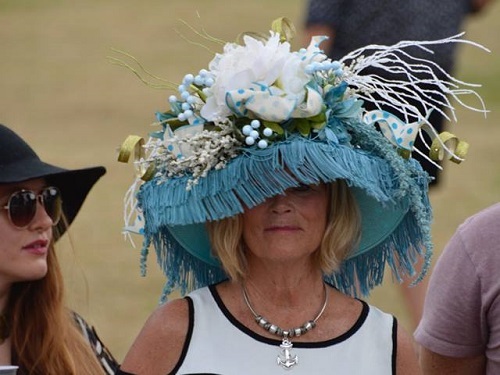 Aside from the intricate tailgate tent designs, one of my favorite parts of the event was the hats! 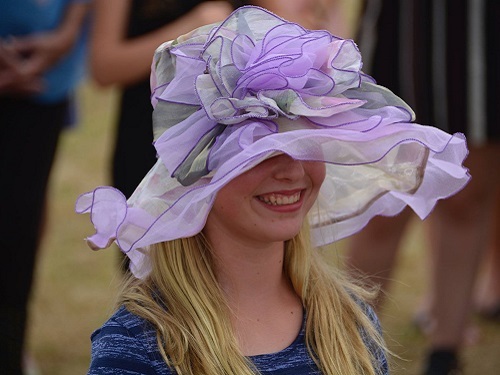 Men and women were decked to the nines in their ridiculous hats. I had previously heard of this tradition, so I wore a favorite funky red feathered headband. My headband was incomparable to the extravagant pieces of art that others called Polo Hats. They reminded me of being back in London and seeing the Queen! During halftime, the announcer called for all the women and men and their hats to the judges’ table for the Best Hat Competition. There were about 25 men and women all very excited to be on display! During Polo play, small patches of grass and dirt are torn up by quick starts, stops and turns, creating divots that can be dangerous for the horses. One of the oldest and most unique traditions of a Polo Match is during halftime. The attendees and spectators walk out on to the field to stomp on the divots. This doesn’t happen at other sporting events – it’s really fun for all ages! My biggest piece of advice is to participate while wearing divot-stomping shoes (any flat bottom shoe). Polo is a team sport played on horseback. Each polo team consists of four riders and their horses (also known as polo ponies or mounts). Polo ponies have their tails braided up and taped before a match so that the polo mallet will not get tangled in them.The overall game objective is to score goals against the opposing team. Players score by driving a small white ball into the opposing team’s goal using a long-handled mallet. It lasted roughly two hours and is divided into periods called Chukkers. This match was divided into 6 Chukkers with a half-time in between. Polo is played on a grass field surrounded by a small wooden barrier. There is a 10 foot limit outside of the barrier known as the safe zone. This means that the horses can jump outside of the barrier and still play as long as the ball is in bounds. Be prepared, because they come out fast and do not care if you are in the way. The lady sitting next to me fell backward out of her chair laughing in fear because the horses came so close to her. This can be a great opportunity for pictures! I encourage you all to attend next year’s 25th Annual Charity Polo Match at Rose Hill Plantation presented by The Rotary Club of Okatie. 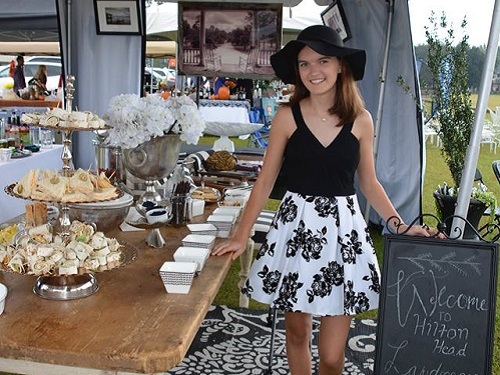 Did you attend the 24th Annual Polo for Charity event? Share your favorite pictures with us on Social Media.